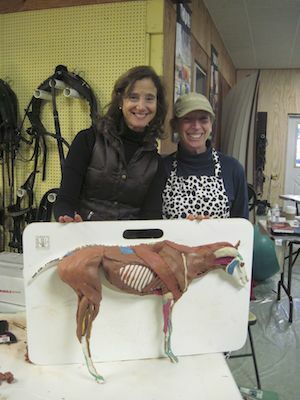 Home / Past Event Archive / Learn Equine Anatomy with Wendy – October 2014 Course Announced! 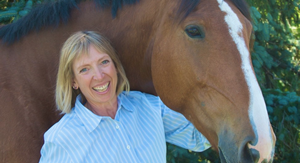 Learn Equine Anatomy with Wendy – October 2014 Course Announced! 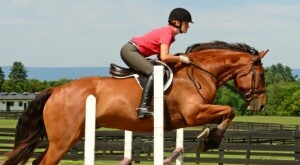 I am teaching Equine Anatomy from the Inside OUT! 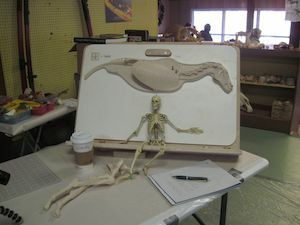 using the Anatomy in Clay® Field Model October 10 – 13, 2014. 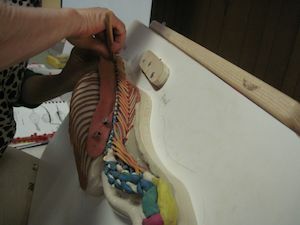 In this course you build the muscles out of clay and apply it to the model. You learn by doing rather than memorization. The function of the muscles becomes the important message rather than the names, as when learning anatomy in the traditional way. 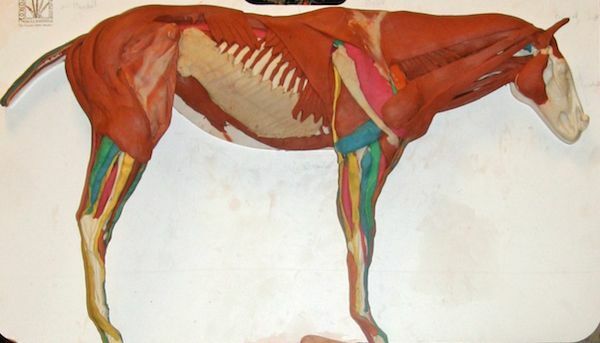 Equine and human muscle anatomy are quite similar. In this course you feel, do, and experience the function of the course consists of an evening “meet and greet” where participants get together to introduce themselves and unpack the model. The models are provided you don’t need to pack a lot for the course. 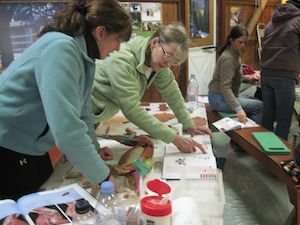 Basic clay handling skills are reviewed. I have added a pasta maker to my arsenal of equipment, which makes rolling out the sheet muscles much easier! 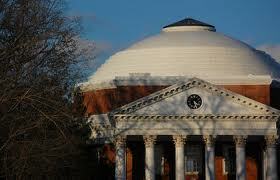 Charlottesville has has easy access to highways, an airport and lots of hotels. You will have plenty of choices. 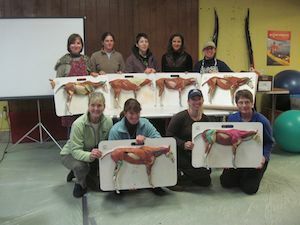 Beginning promptly at 9am the following morning students dive into anatomy building the muscles from the inside out. Students work together to make the muscles, explore the function and determine where to place them on the model. There is lots of interaction between the students and me, who can approach my table to see how I am making a particular muscle or determine where to place it. 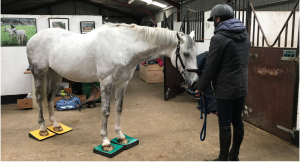 In addition students interact with each other comparing their models, texts that they have brought and sharing their own personal experiences with anatomy, riding and horses. want to plan an extra day here so that you can go to Monticello, Jefferson’s beautiful home which houses his unique inventions. 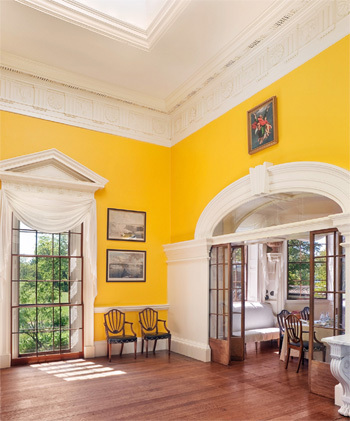 Your spouse might even want to join you to walk on the Civil War battlefields that surround Charlottesville or visit some of the famous wineries in the area. Day 2 we start in again bright and early. Some people dream about the muscles all night long like me. Even as familiar as I am with the material I still find that my mind is working on it while I sleep with little rhymes going through my head “that’s popliteus not gracilis that unlocks your knee!”. We will complete the axial skeleton (body) and get working on the legs. Exactly where we are depends on the group and what conversations come up during the day. But we need to have one leg done by the end. Another night of “out on the town”, good food and drink and a good nights’ sleep. There are lots of hotels to choose from. 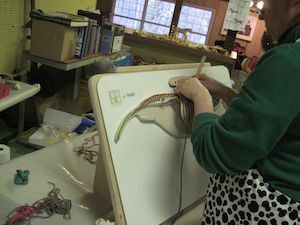 Day 3 we complete the hind leg, attach both legs to the body and start on the large sheetlike muscles. This is where my new pasta maker will come in handy! Using the pasta maker it is so much easier to make these large thin muscles that have to cover large surface areas. The traditional way is to roll them out by hand but that can be hard work, especially if the clay get a bit cold. After completing the model everyone gets their picture taken with their horse and partner. Then, if there is time, we dissect the models and look at the muscles in the more traditional way of doing anatomy, from the outside in. If you are flying in make sure you plan to fly out Monday morning. We will need the full 8 hours on Sunday (and maybe a little more) to take the models apart and clean them. 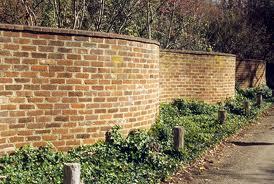 At the end of the course you will be tired and overloaded with information and wonder how much you have retained. Not to worry! The next time you are around a horse you will be looking at him with new eyes. You will “see” muscles jumping out at you and names floating around in your head for weeks afterward. That’s the beauty of this course! You won’t even realize how much you have learned until months later when you find yourself recognizing movement you have experienced in class. As Jon Zahourek creator of Anatomy in Clay says, ” the mind cannot forget what the hand has learned(tm)“.